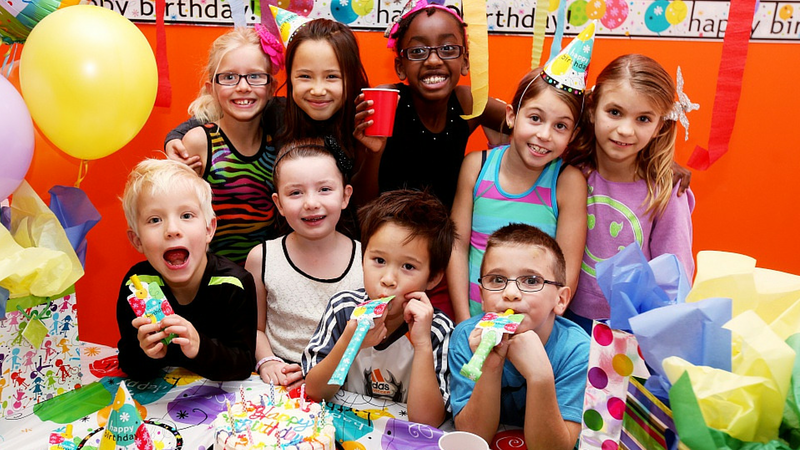 American Eagle Limousine and Limo Bus offers children’s birthday party bus rentals that will please a child of any age! Imagine the excitement of your birthday boy or girl when our limo or party bus rolls up to your house. We will pick everyone up and drive around in style with the thumping hi tech stereos and disco light shows! We carry from 10 passengers to 40 passenger limos and limo buses! Your child and their friends will be the talk of the town with our unique buses! Most limos come equipped with drink holders, LED accent lighting, dance lighting, television, large coolers, and BASS! We allow decorating! Please call now so we may set up your party. Pristine up-to-date limousine and/or limo bus. Complimentary 15% off when booking at Flight Trampoline! (ask us for details). Stuck on ideas? Here are a couple SUGGESTIONS to help you get started! (ask our coordinators how this works!). Dinner! Get all your kids/Teens friends and take them to their favorite Dinner Locations to enjoy!. Dave and Busters (Arundel Mills) You can have the Kids/Teens travel here to get a bite to eat and to play!. SkyZone (Columbia MD) Great Trampoline Park to have the kids enjoy. Rebounderz (Sterling & Manassas) Another Great Trampoline Park for the kids to enjoy. Ultra Zone (Falls Church) If your kids/teens enjoy laser tag, this is an amazing place to have the enjoy. Go Kart Racing (Crofton) Get your kids/teens adrenalin pumping with Go Kart Racing!. Museum tours Want to do something more educational for your kids/teens? Have then go on a Museum Tour!.